The Supreme Court on Thursday dismissed Advocate M. L. Sharma's PIL by which he sought, inter alia, the suspension of erstwhile CBI Special Director Rakesh Asthana. "Some discipline has to be maintained as to the prayers. You cannot take everything under the sky and roll it into one...Your first prayer is that Asthana should not be appointed as the next CBI Director? Are these matters to be adjudicated in a PIL? If you have a grievance that he is not competent, then go to service tribunal!...You speak of judges' recusal on a conflict of interest?...Then you move on to criminal proceedings under 193?...the FIR against Asthana?...Guidelines for appointment of the CBI director?...his impeachment should be as per impeachment guidelines?..." "What is your grievance? tell us? What is it that you want? ", asked the Chief Justice. 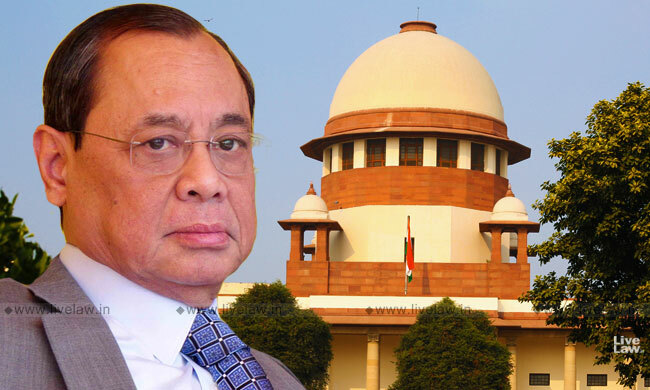 After listening to the petitioner-in-person, Chief Justice Gogoi proceeded to record that after perusing the pleadings and the prayers, the bench is not inclined to interfere- "there are Multiple causes of action, one having no connection with the other. Some of the reliefs are not within the realm of the jurisdiction of the court, while the others are not appropriate", noted the Chief Justice, dismissing the petition.